Computers and printers have been provided for many uses within buildings used by the local council. 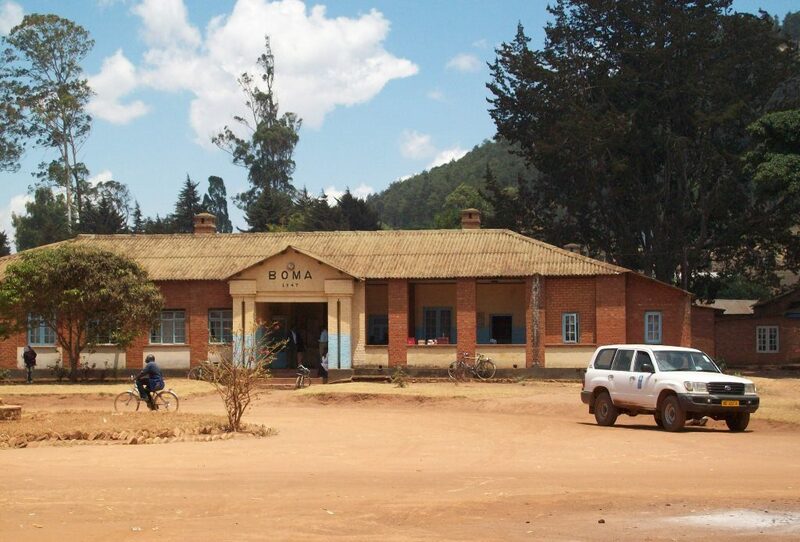 BOMA is the original local government office in Dedza, which is still used to this day, along with the newer civic building. The library is used by 300 pupils per week. The school was recently refurbished and has a dedicated computer lab powered by mains electricity and solar panels. Before we visited Dedza police all their records were paper-based. Now they are computerising their records and can type up charge sheets and related documents to be tendered to court. Dedza Prison require computers for recording data on prisoners and staff. At any time there is between 350 - 400 prisoners with 50 staff within the age range of 19 - 85 years. Prisoners here have a minimum stay of 3 months and maximum 8 year stay, for longer stays and more serious offences inmates are transferred to one of the larger prisons in Lilongwe. Computers have been donated to a classroom to help rehabilitate inmates where they learn English, geography, maths, science & technology, history, agriculture, bible knowledge, biology, physical sciences & social studies. 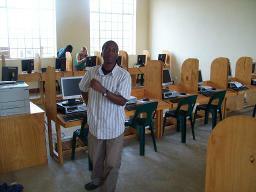 GASO have a library and computer room offering AIDS information and support. They currently support 18,000 people. Founded in 2006, utilising buildings built in 1996, Golomoti Community Day Secondary School does not have a dedicated computer lab but now has solar panels. They have 400 pupils (roughly half-split between boys and girls). 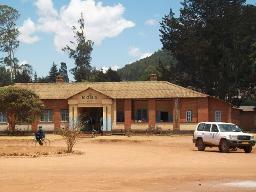 A secondary school for both boys & girls with 310 students, which is located just outside Dedza town. Only 30 pupils are learning computing due to a lack of PCs, so we are providing new computers each year. Molima stands for "Mission Of Love In MAlawi" and is an orphanage with 30 children between the ages of 6 - 18 years. We have donated clothing, medicine and laptops. A CBO (Community Based Organisation) where we have donated clothing and computers. The US Peace Corps have a presence here. The school was opened in 1999 and has 400 pupils (boys and girls). One of three schools for the deaf in Malawi. Promotes and advocates for demand-driven quality treatment, care support, economic empowerment and prevention services in order to enhance positive living and self-reliance for people affected and infected by HIV and AIDS. They work with over 1,000 people in Dedza county. Umbwi school has a newly built dedicated computer lab and computing teachers. The reconstruction and expansion of Umbwi school is assisted by aid provided by the Japanese government. They have around 700 students (300 girls / 400 boys).